This vegan cookie dough will satisfy your sweet tooth & is healthy too! 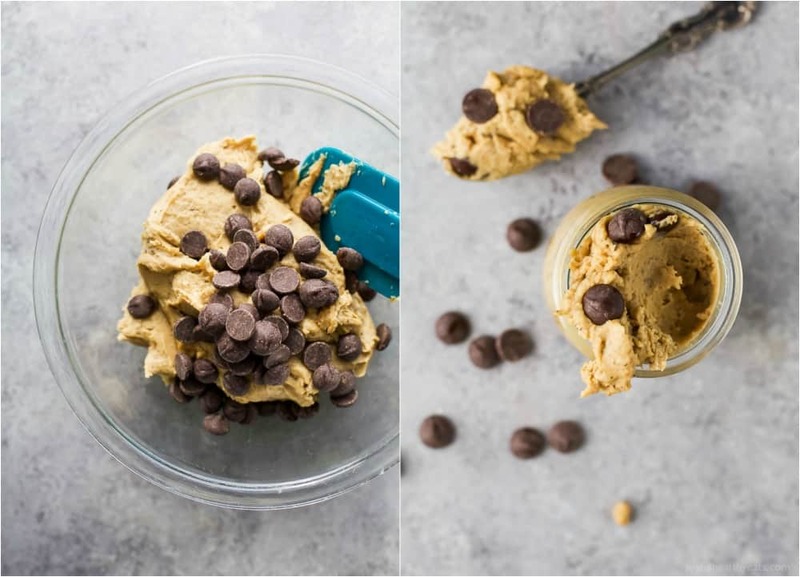 Peanut butter & chocolate chip vegan cookie dough made in the blender in only 5 minutes. 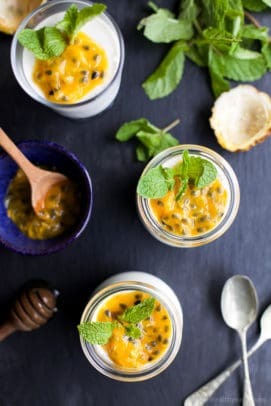 One of my favorite vegan desserts! 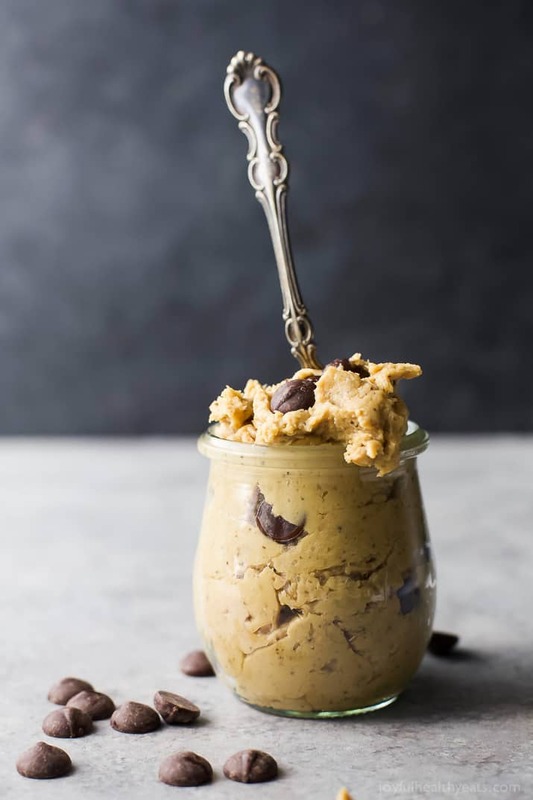 This peanut butter chocolate chip vegan cookie dough is a healthy, eggless, no bake vegan dessert to satisfy that sweet tooth! Sweets! Y’all. I feel like I’m still detoxing from all the Christmas Cookies I inhaled a couple weeks ago. Anyone else with me? Sugar is seriously like a drug. Once you have a bit, you start craving it and you really do go through a “withdrawl” from it. 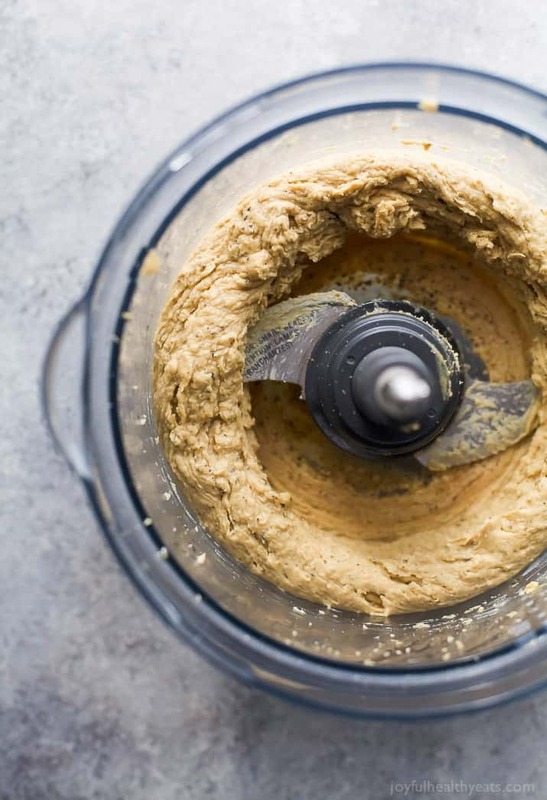 Today I’m replacing all those cookies with this healthy eggless Vegan Chickpea Cookie Dough. Honestly, I’d heard about making cookie dough with chickpeas for a while. But I wasn’t so sure about it. I’ve made brownies with pumpkin, avocado, and black beans before but never cookie dough with chickpeas. It’s a game changer! I actually just bought two more cans of chickpeas today so I could make more to have this on hand at night. All I really need is like a spoonful or so and I’m satisfied. Now before you get all judgy about the chickpeas, honestly you can’t taste them. 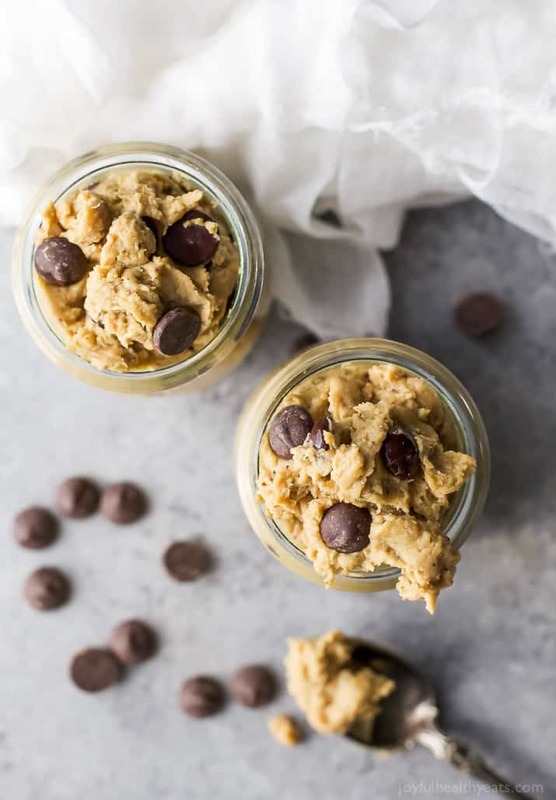 The cookie dough definitely isn’t as sweet as normal, but you’re not making this to be hit with a “sugar coma.” You’re making it to satisfy that sweet tooth without all the sugar and calories! Right? I highly recommend draining the chickpeas and placing them in a paper towel. Then, using another paper towel, gently rub the top of the chickpeas so some of the outer skins come off. Pick out the skins and toss them. It might seem tedious but it makes a huge difference in the texture so you don’t have as many skins in the cookie dough, you don’t need to get all of them just enough to make a difference. This process makes the cookie dough smoother. Adding the chia seeds actually soaks up some of the liquid from the chickpeas and creates more of a true cookie dough texture. I’m officially addicted to this stuff and so is Cason. My 5 year old was all about taking spoonfuls of this cookie dough for his after school snack and I don’t blame him. It’s delicious! It has all my favorites, chocolate and peanut butter. What more do you need? 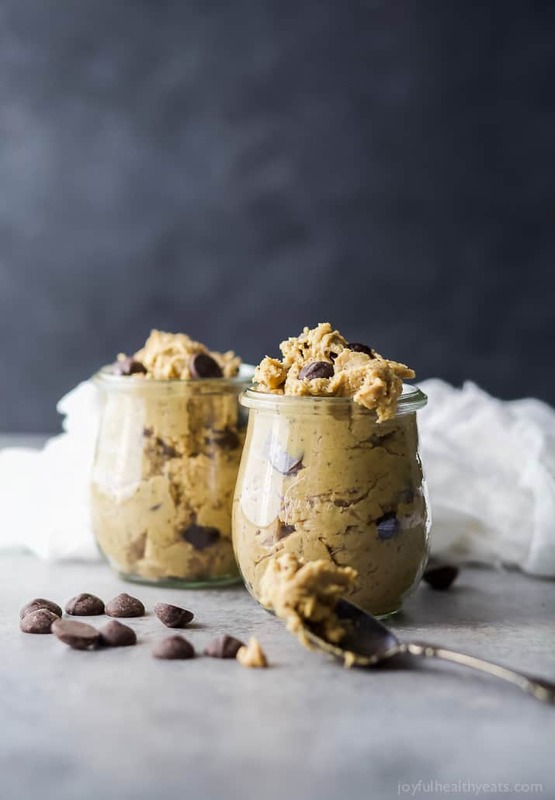 So if you’re looking for a healthy dessert option to satisfy that sweet tooth this Vegan Chickpea Cookie Dough is it! 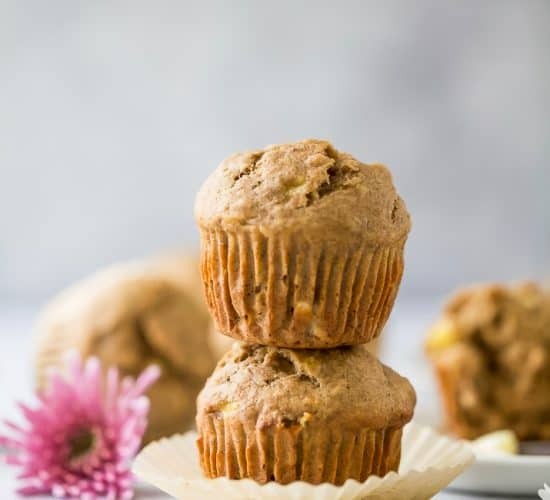 It’s sweet, healthy, takes 5 minutes to make in a blender, filled with protein and fiber. But most importantly is delicious! This vegan cookie dough will satisfy your sweet tooth & is healthy too! Peanut butter chocolate chip cookie dough made in only 5 min. 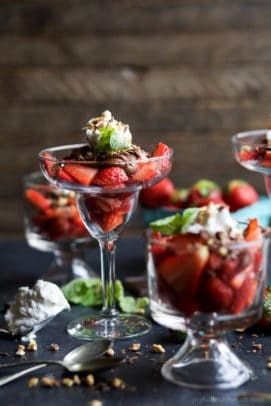 An easy vegan dessert! 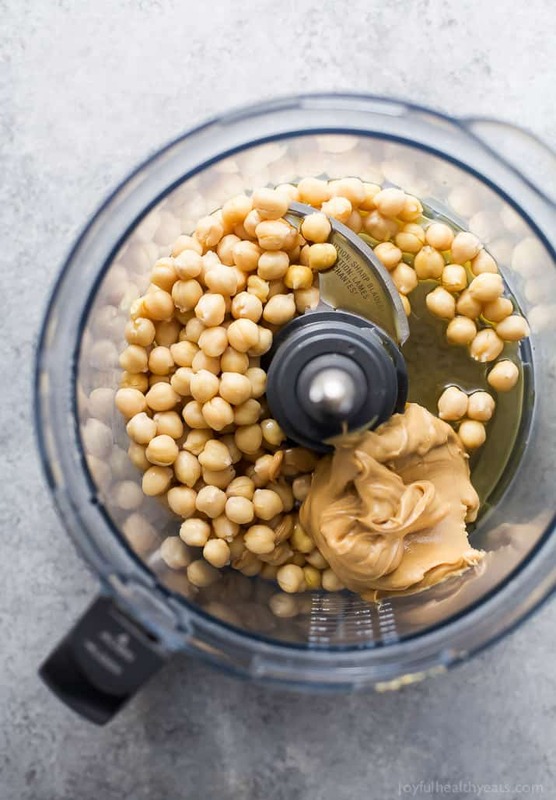 Add chickpeas, peanut butter, vanilla extract, maple syrup and cinnamon to a food processor. Blend until smooth and creamy. Add the ground chia seeds to the food processor. (to grind chia seeds add them to a coffee bean grinder or a mortar and pestle) Blend until everything is combined. Add chickpea cookie dough mixture to a small bowl. Fold in the chocolate chips. 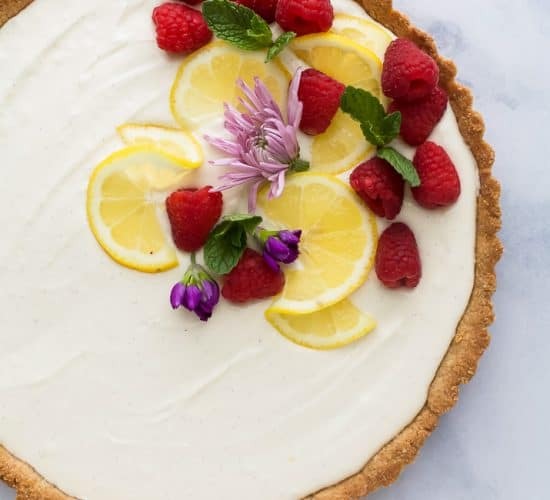 Do you Want More Healthy Dessert Recipes? Hey lady, I’m kinda obsessed with trying this! Going to make for dessert tonight! hahaha.. well you will be even more obsessed after taking a bite! De-lish! This is seriously so genius!!!! I’m in love with it. What a cool idea, I’ve got to give this a try! So creamy and delicious, yet healthy too?! Sign me up! I can’t wait to make this recipe for my kids! You are a genius! I never knew this existed. My kids love making cookie dough, so I’ll have to try this healthier version! holy cow! i love that this isn’t filled with sugar! cannot wait to try it! I know right! It’s surprising! Glad you enjoyed it karin! it is a 14 oz. can… hope that helps! Enjoy! This sounds amazing however can u make actual cookies from this recipe? This looks great! 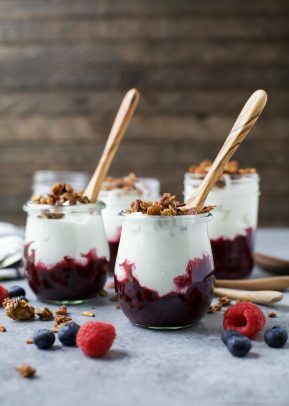 Do you think using ground flaxseed instead of the chia seeds would provide a similar texture? Hmmm… it might! And I think it would still soak up the moisture from the chickpeas. You could definitely give it a try! Can you use white beans instead of chickpeas? hhmmm… I don’t think that would work. Just made this using a can of Great Northern white beans. Turned out great. 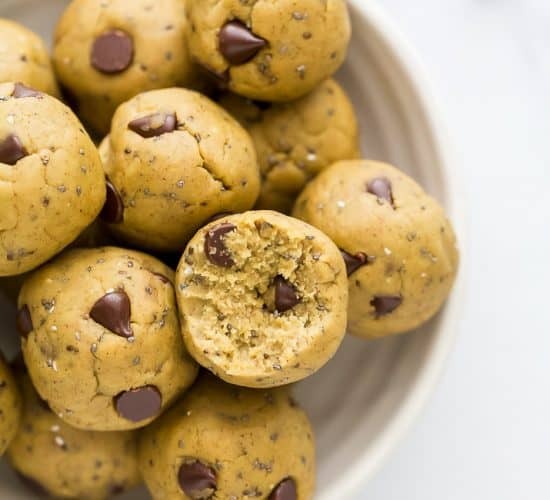 This vegan chickpea cookie dough looks so so divine! 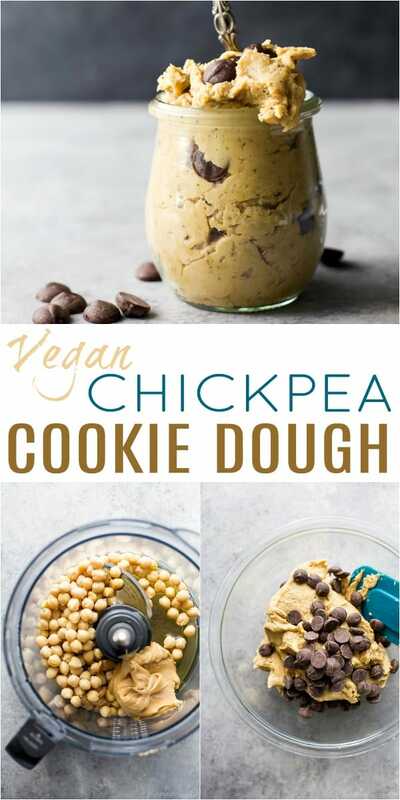 I just bought a can of chickpeas, so I’ll be making vegan chickpea cookie dough very soon! You’ll love it Cassie! It’s so unexpected and delicious you’ll fall in love! This does not work in a blender as recipe TITLE suggests. I have a vita mix and this is too thick. hmmm…. I have a vitamix as well and it worked great. Sorry about that Val. Maybe try using a food processor and see if that makes a difference? Do you have an alternative to peanut butter. Nut allergies. Use the juice of chickpeas for meringues. I MADE IT IN MY VITAMIX USING THE TAMPER OR WHATEVER YOU CALL IT. IT TOOK SOME EFFORT BUT WORKED GOOD FOR ME. Hi! I was wondering if I could use this cookie dough and turn it into actual baked cookies? If so, how? Thanks! Yes. But the chunky will obviously become smooth because it will be blended up in the food processor. Hi! 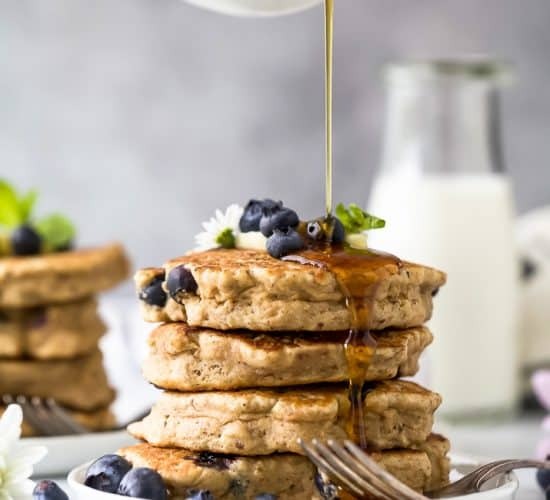 Is it possible to reduce the amount of peanut butter and can I use regular white granulated sugar instead of maple syrup? Thanks! You can definitely reduce the amount of peanut butter, but I’d recommend using honey instead of granulated sugar. This is TO DIE FOR!! I swapped out the vanilla extract for a scoop of vanilla protein powder, sugar free maple syrup, and used half brown pea butter and half natural PB! Unbelievably delicious! Thank you so much for coming up with this guilt free treat! You had me at chickpeas! Have you tried making cookies from this recipe or is the dough gone before it can be formed into cookies? haha.. yes usually it’s gone before I even get to making the cookies. This recipe is meant to be eaten raw, not cooked. But if you did, I’d recommend adding a baking soda and coconut flour or almond flour so they are more cookie like. Looks amazing! Is there a way to make it without the peanut butter? Or is that necessary for holding it all together? It’s kinda necessary for holding it all together. But you could sub it with almond butter or sunflower seed butter if you’re allergic to nuts. 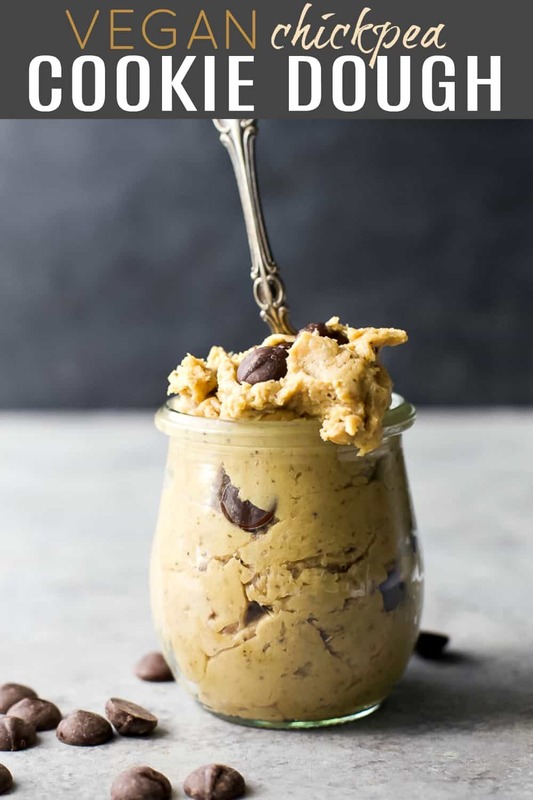 I used cashew butter instead of the peanut butter, it makes it taste more like cookie dough, I found the peanut butter taste is too strong and alters the “cookie dough” flavor, I also used butter extract in addition to the vanilla extract- this made a BIG difference! This stuff is amazing! I’m going to make sure I always have a batch ready! Going to give this a try today. Did I miss something? Can we bake this? If so, what temp and time? I’m sure that my kids won’t be opposed to eating it raw, but I thought I’d give it a go. Nope, this recipe is meant to be eaten raw. But if you’d like to bake it you’d probably need to add baking soda and some coconut flour or almond flour. Can these be baked like cookies? These were SOOO good! I made them for dinner because we had a late lunch. I baked them in the oven and they were prefect!! Warm and memory chocolate. Thank you! Awesome! So glad you liked it Alex! quite yummy! I also added a bit more maple syrup and a dash of salt. hurray!!! yeah for yummy cookie dough! I have not been able to find chocolate chips without refined sugar, sugar substitutes, or sugar alcohols, all of which I’m trying to avoid. If you have found such a thing please share the brand! I’ve not come across Enjoy LIfe choco chips without sugar (Evaporated Cane Juice) – do they exist?? I’ve been buying 100% cacao by Pascha (cacao is the only ingredient…they are gross on their own but fine mixed into a sweet treat!). 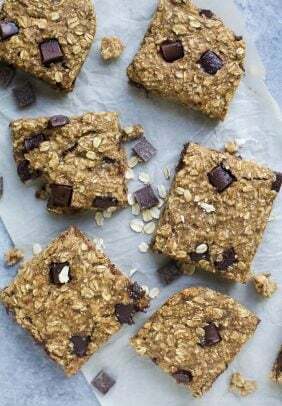 PS – LOVE this recipe and didn’t even add the choco chips. Great way to avoid overdoing all the flours, especially almond meal. THANK YOU!! I can’t wait to try this! Does it keep very long? For me it lasted about 5 days or so… as long as it’s in an air tight container you should be fine. Oh my gosh, honestly this looks SO good! you have no idea! hope you get a chance to make it! Made this last night and it was delicious! I left out the vanilla because I didn’t have that but I added a bit more maple syrup and it worked great! Also added a couple tablespoons of almond milk to make the consistancy better 🙂 Thanks a lot for this recipe! I haven’t before. But I don’t see a reason why not. Just make sure you thaw out in refrigerator before serving. Do you use natural peanut butter or one like Jif? I actually use Jiff Natural. It has the least amount of sugar that I’ve seen and a texture that I like. I had a similar problem someone else mentioned – I have a Ninja blender but it struggled with the thickness. I eventually ended up adding a tad of water a few times & that did the trick. I did see a few chunks still when I took it out, so I went ahead and mashed with a fork before adding dark choc chips. It was more time consuming than I expected (taking the skins off of the chickpeas was very tedious), but the product was a surprisingly tasty guilt-free treat! Thanks for the recipe! I tried this the original way first then tweaked it a bit. I got a really good quality creamy peanut butter and used around 3/4 cup. Maybe a smidge more. I added a pich of kosher sea salt, used agave nectar instead of maple syrup, some almond coconut blend milk and coconut cream that was mixed with dutch process cocoa. This gave it a nice chocolatey base with a nice flavor of peanut butter. Then threw in a mix of dark/milk chocolate chips. Turned out great cause my husband couldn’t stop dipping bananas in it. I do highly recommend you use a blender or food processor. Mine quit so I used my puree wand. It took a lot to get the mix smooth and I nearly burned the motor out. But the overall outcome turned out to be a winner. For a base without peanut butter but full on chocolate melt down high quality chocolate and mix with or without coconut cream. Add to the mix with sea salt and vanilla. Then just play with your favorite added ingredients like nuts, marshmallows, cookies, brownies or whatever. Oh the food processor does wonders. I prefer that over the blender most days. Love the coconut cream and cocoa powder addition, sounds wonderful! I definitely need to try that next! YUM! Made this today. Didn’t even need the chocolate chips. Delicious and hit the spot for a cookie dough craving I didn’t know I had. The cinnamon & vanilla really made it happen. 🙂 FWIW, I subbed dates and a little water for the maple syrup, and I used garbanzos I cooked from dry rather than canned. I had trouble with my blender (not a vitamix, unfortunately), so I just stirred a lot and added a little bit more water to make it easier to work with. Thanks for the inspired recipe! Just made this with my daughter. IT’S SO GOOD! My boys have no idea how “healthy” it is. They are all asking for more! I will definitely be using this again! Only thing I did different is I didn’t have any chia seeds. I know that’s the best part! I love giving it to people to taste and then I tell them what’s in it, the look on their face is the best! Can you sub powdered peanut butter for the pb? Hmmm… might not be the same. Might be a little dryer in texture and not as sweet. But you could give it a try. I am guessing it makes approx 3 or 4C, but the above nutes are for total recipe. You could easily improve it with chocolate chips of choice! hmmm… interesting I’ll have to give that one a try! OH i’m sorry to hear that Olivia! I love this! I actually subbed stevia extract for maple syrup and it turned out great! It was a bit too thick so I even added some applesauce until it got to the right consistency. Thanks! Also, some people were asking about using white beans/cannellini beans.. I didn’t use them for this recipe but I’m assuming they would work great. 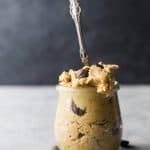 I have used them for several other cookie dough recipes like this and sometimes they even work better because they have a more neutral taste than chickpeas. Hope that’s helpful to someone! Just made a batch – just like the recipe- it came out great. We tried it with apple slices and it was awesome. Can’t wsit to spring this one on some friends who won’t believe this is a guilt free option. Thanks for sharing this! I’ve got though so much of it in the last month that I’ve started to make it in larger batches and freeze small cookie scoop sized portions to defrost whenever I need them (thawed in the microwave for 20-30secs gives you lovely melted chocolate). I made it a few days ago. It was better than I expected. Its very creamy, but a little bland. I might put into candy molds and then dip those in melted dark chocolate to see if that helps. 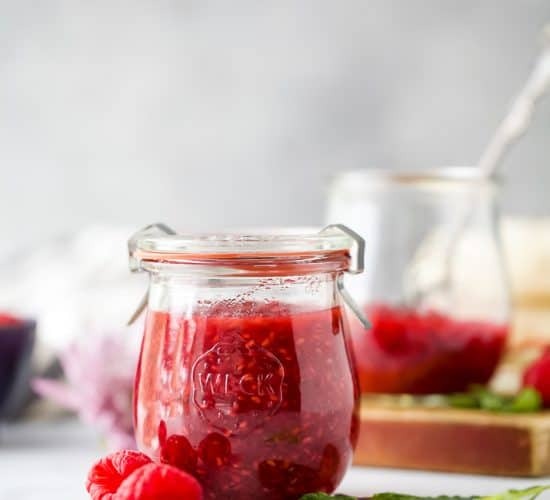 6 Easy and Healthy Snack Ideas - U-RAAW! This recipe is amazing! Can’t stop eating it. I didn’t have any chia seeds on hand so subbed some rolled oats to absorb extra moisture and it worked like a charm!